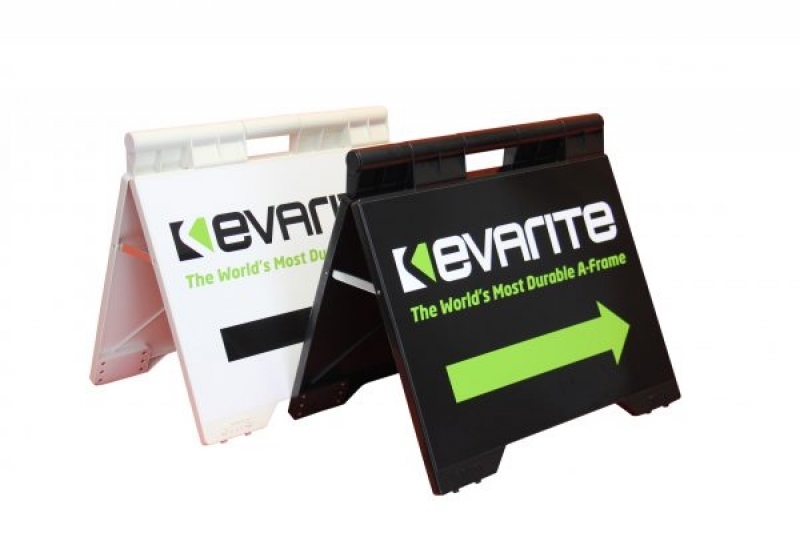 'A' Frame signs come in a variety of sizes and styles from small and lightweight to large frames on wheels. No matter what the size, the important thing here is the message. The purpose is to, firstly attract attention and secondly, direct customers to your door. We recommend a catchy headline and perhaps an arrow pointing your way. Try to focus the message on a special offer or incentive. If you are undertaking another form of advertising like TV or newspaper then using an A frame will help reinforce the your other advertising. Never, never, never use the same old tired A frame year in year out. If we see the same thing everyday we stop noticing it. So.... these can be an inexpensive way to promote your business, be prepared to revamp it every now then. We are happy to assess your existing A-Frame for reuse, it might just save you a few dollars. Ask Geoff or Anne to help you attract more business to your front door.